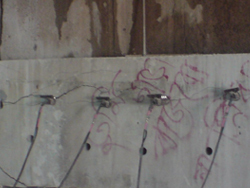 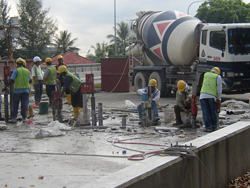 Controlled demolotion is the preferred nethod of demolition for "live" environment such as shopping centre, offices, factories, MRT stations and etc. 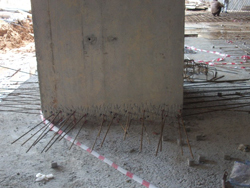 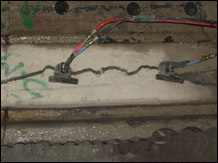 where alteration to concrete structures are being carried out. 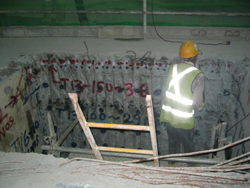 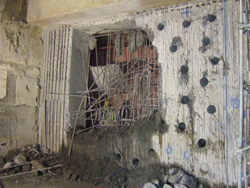 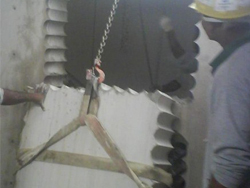 This method involves removal of concrete structures by sawing, cutting, crushing, coring, bursting and hacking in a controlled and precise manner to reduce noise, dust and vibration. 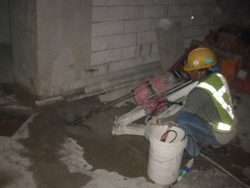 Compared to breaking and other destructive, noisy methods of cutting openings and making penetrations through concrete, masonry and stone, diamond drilling and sawing is proven to give you the edge in performance. 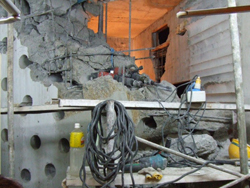 Since diamond drilling is rotary only, the vibration and noise level of conventional methods is greatly reduced. 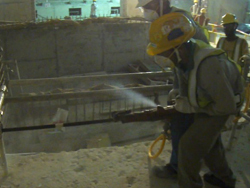 Wet diamond cutting controls dust, now recognized as one of the most hazardous substances in the construction industry. 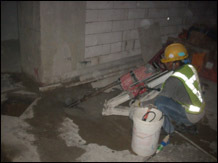 Overall, diamond drilling and cutting methods are safe and fast, making them highly cost effective. 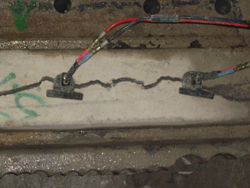 Most effective in difficult to access concrete mass and masonry, bursters are hydraulically expanded in predrilled holes causing the material to split and break apart, making removal or further breaking significantly more easy.